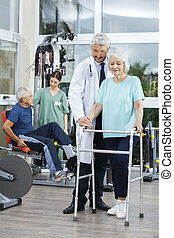 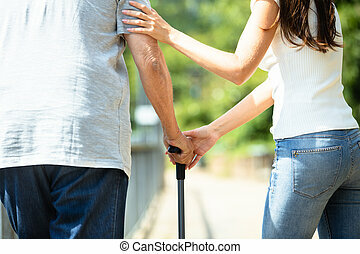 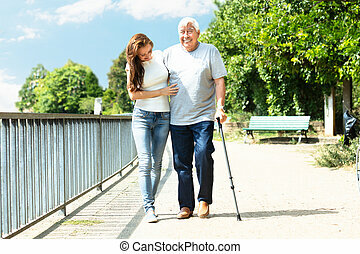 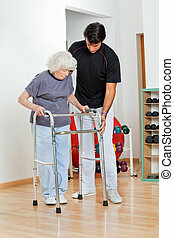 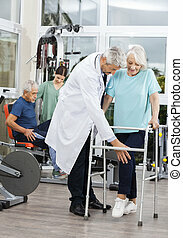 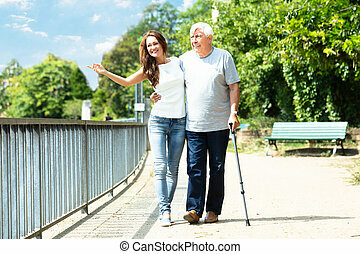 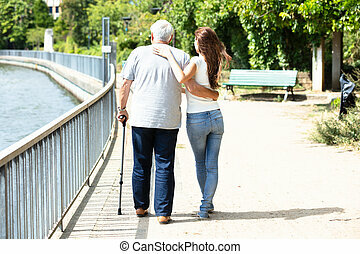 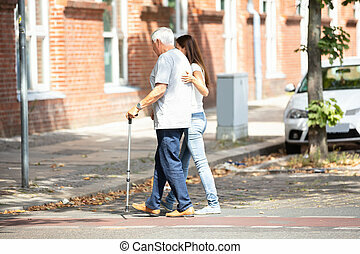 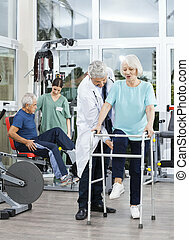 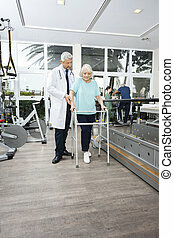 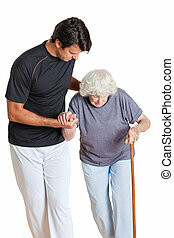 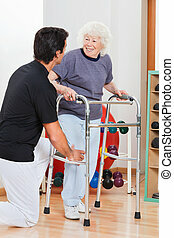 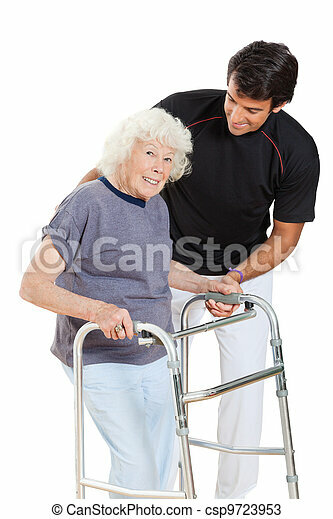 Senior woman holding walker while trainer assisting her. 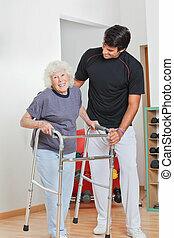 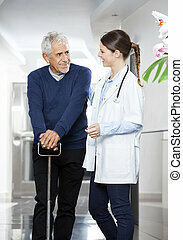 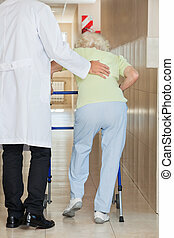 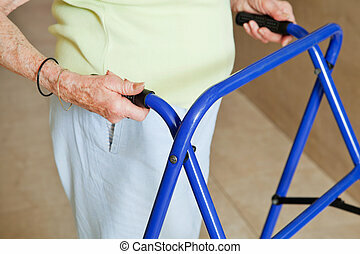 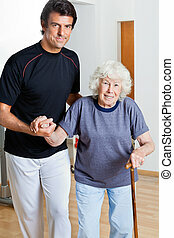 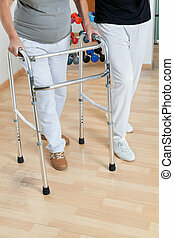 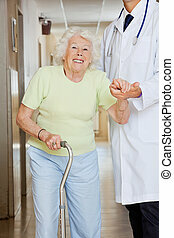 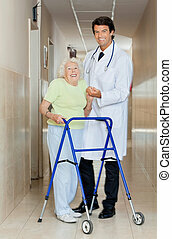 Portrait of a happy senior woman holding walker while trainer assisting her over white background. 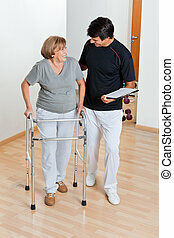 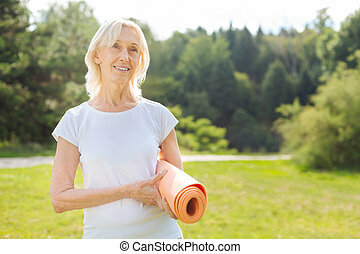 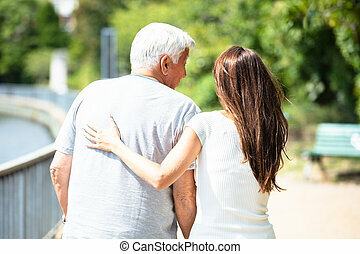 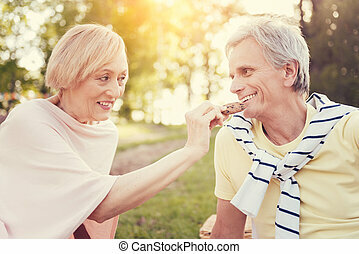 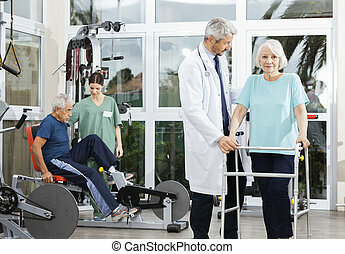 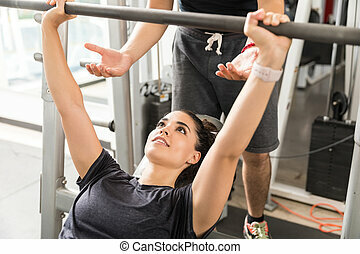 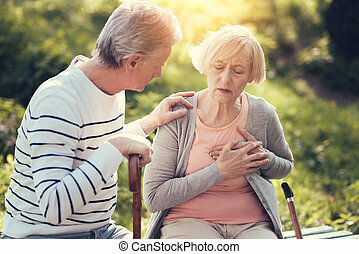 Senior woman having a friendly chat with her personal trainer while exercising at gym. 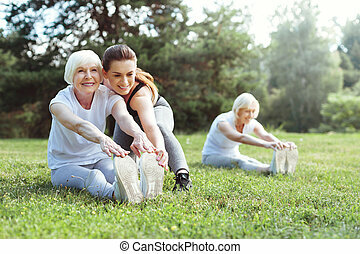 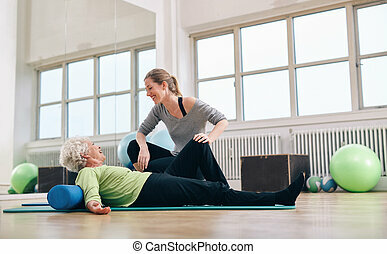 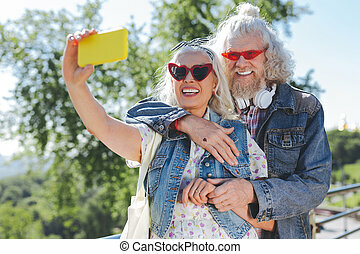 Elder woman doing pilates with gym coach. 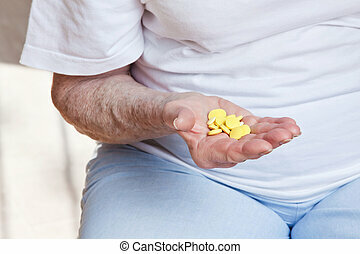 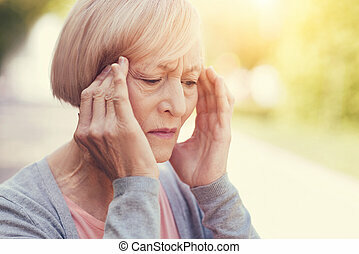 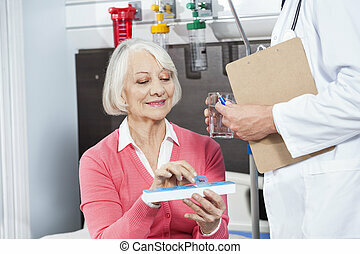 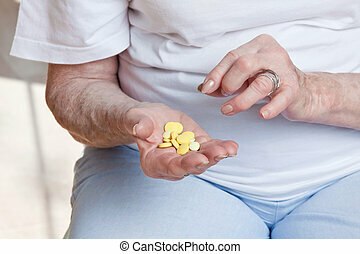 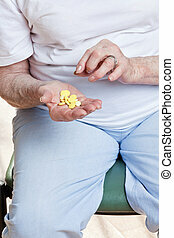 Sick senior woman holding her pills.